The shelves are heavy laden with volumes, large and small, on Christmas. There are a growing number on Advent, too. But each year I tend to return to a simple collection of tried and true words to accompany me through Advent, toward Christmas. My own participation (and celebration) of Christmas was deepened when I better understood what the Gospels actually said about the coming of Jesus. Borg and Crossan helped me see the revolutionary nature of the incarnation, to better understand the kind of salvation that the people in Bethlehem hungered for and why the announcement of this birth was good news. You don’t have to agree with every conclusion of these scholars in order to glean a deeper appreciation for the coming of Christ. 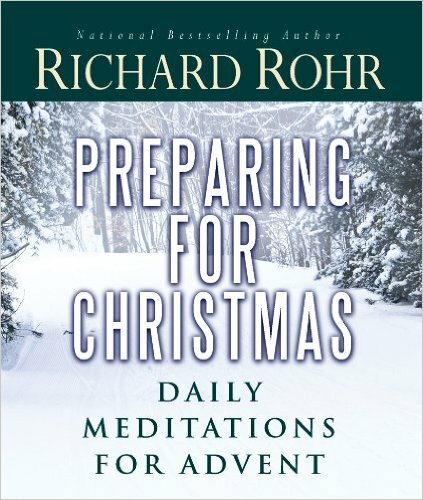 I believe this is the first Advent meditation I ever purchased. I remember stumbling upon it while I worked at a United Methodist Church and reading it every morning at my desk before the day began. 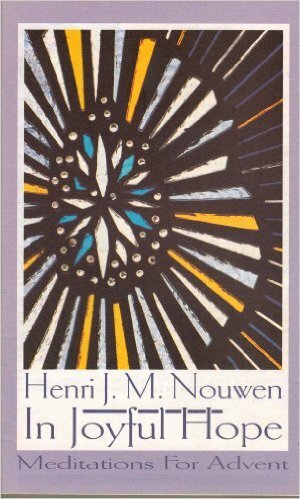 Nouwen keeps it simple, focused and rich. His words are a wonderful introduction to the themes of the season. 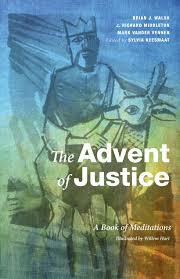 I love how Rohr brings us into Advent and helps us create space for Christmas to come. I find his meditations gentle, expansive and ever-new (even though I’ve read this book for years). The friendship between Luci Shaw and Madeleine L’Engle has always both delighted and fascinated me. So this volume, with readings from both friends, feels like an invitation to sit with them in front of the fireplace and contemplate the glorious impossible, as L’Engle was fond of saying. These women can write – be it prose or poetry – to the heart of this season. This is a last minute addition to the list – and I’m so thankful to Sandy Hay for mentioning it! John Blasé is a favorite modern-day poet, writer and person, really. I downloaded and started reading his meditations this morning and they ring with truth and fresh surprises. Add this to your list, too. I’d love to hear other recommendations. Do you have a well-worn Advent volume you revisit year after year? 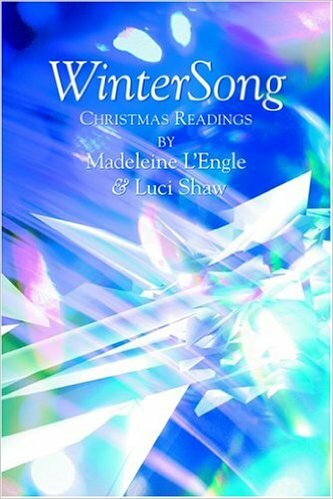 I have read WinterSong for years. Madeleine is my go to author. 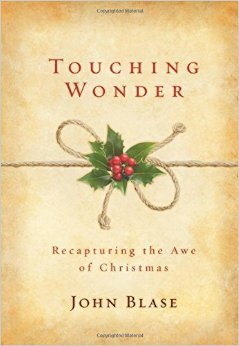 This year I’m also reading Touching Wonder by John Blasé,The Mood of Christmas and Other celebrations by Howard Thurman and Advent and Christmas by Henri Nouwen. And of course Widening the Light with Red Couch Bookclub 🙂 These are all by my advent wreath too. Sandy – thanks for the recommendations. 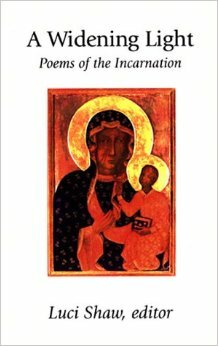 I am so fond of the poetry of John Blase – and instantly fell in love with his book. I started reading the excerpt provided in the amazon preview, but then decided to just download it! Blessings to you on the eve of Advent. 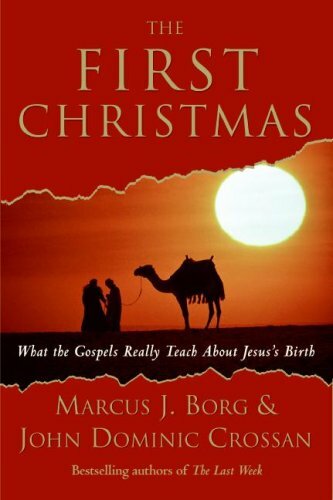 Journey to the Manger sounds a little like your first book – puts the nativity in context. I got A Widening Light and – you’re right! – it was wonderful. Next year I shall try and remember to stop by this page again, because there are so many on here that sound so good. And hopefully my Advent book will be ready by next year!